Don & Low have been part of Thrace Group since 1999. 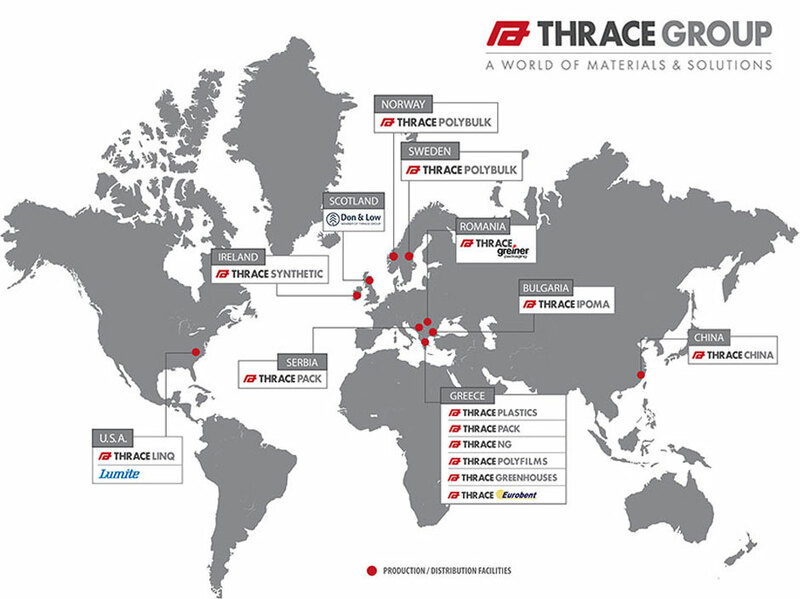 Thrace Group consists of 20 companies worldwide with a highly-developed sales network of 80 countries in 24 market segments, globally. The Group has two main operating divisions, Technical Fabrics and Packaging Solutions, whilst specialising in 28 different production technologies. Thrace convert more than 100K metric tons of polypropylene annually throughout their operations in 11 countries including Greece, Scotland, Bulgaria, Romania and USA. The Group also have established trading companies in Ireland, Norway, Sweden, Serbia, China and Australia.